NordVPN vs Private Internet Access vs NordVPN vs Private Internet Access 2019 - 5 Tests, 1 Winner! To the casual eye, two big players like NordVPN and Private Internet Access (PIA) may seem very much the same. For instance, both providers have been leading the market for years and offer unlimited bandwidth, browser proxy extensions, DNS leak protection, a kill switch, and ad/malware protection. In addition, they both follow a strict no logging policy, though NordVPN has an advantage since – unlike the US-based PIA – it is based in Panama, which does not fall under US jurisdiction laws. Upon taking a deeper look, NordVPN and Private Internet Access are competitively different. Even though NordVPN accepts various payment methods, Private Internet Access is more diverse and offers gift cards. Moreover, NordVPN comes with flashy discounts and attractive price plans, but Private Internet Access offers steady, cheap plans. Although, PIA only offer a 7-day money-back guarantee, whereas NordVPN offers 30 days. 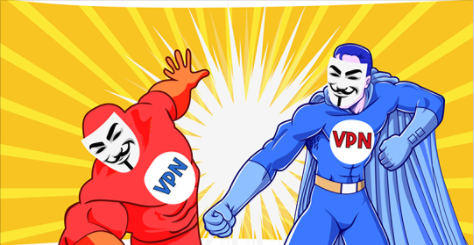 NordVPN’s Tor over VPN server and double encryption (Double VPN) for extra security make it a better VPN for censored countries, like China (even though PIA does allow users to connect to the Tor Network with their VPN). Both VPNs offer a lot of simultaneous connections (5 for PIA and 6 for Nord), and both have thousands of servers to connect to. Understandably, PIA has more servers (3000+) compared to NordVPN’s (2500), but since NordVPN can connect to Netflix and other streaming sites with high speed, it makes it more valuable. In addition to having servers in 61 countries, NordVPN also has a world-class 24/7 support channel and is widely considered the best for bypassing VPN blocks and geo-restrictions worldwide. PIA tries to compete with strong encryption and very reliable servers in 28 countries - but with these NordVPN coupons, it's an easy choice. Best VPNs for Torrents NordVPN permits torrenting and P2P only on some of its servers, however, Private Internet Access allows P2P activities and torrenting on all servers. NordVPN permits torrenting and P2P only on some of its servers, however, Private Internet Access allows P2P activities and torrenting on all servers. Best VPNs for Windows Both VPNs are good for Windows when it comes to encryption. However, for streaming, NordVPN gives you a secure and buffer-free streaming experience. Both VPNs are good for Windows when it comes to encryption. However, for streaming, NordVPN gives you a secure and buffer-free streaming experience. Best VPNs for Android NordVPN offers Android users some extra security features such as DoubleVPN, anti-DDoS, and a unique Cybersec feature that blocks malware & ads and also improves mobile data speed and consumption rate. PIA also has an Android app that’s easy to setup and use with very strong encryption. NordVPN offers Android users some extra security features such as DoubleVPN, anti-DDoS, and a unique Cybersec feature that blocks malware & ads and also improves mobile data speed and consumption rate. PIA also has an Android app that’s easy to setup and use with very strong encryption. Best VPNs for Mac If you’re concerned about all-round privacy, security and anonymity, NordVPN has a dedicated Mac app that offers users with very strong encryption and some unique cyber security features. PIA on the other hand offers Mac users pretty fast servers and strong encryption. If you’re concerned about all-round privacy, security and anonymity, NordVPN has a dedicated Mac app that offers users with very strong encryption and some unique cyber security features. PIA on the other hand offers Mac users pretty fast servers and strong encryption. Best VPNs for iOS NordVPN has a very user-friendly iOS app with strong security protocols and access to its 24/7 live support. From having a beautiful user interface to having advanced features such as a kill switch, PIA offers a very reliable VPN for Android devices. NordVPN has a very user-friendly iOS app with strong security protocols and access to its 24/7 live support. From having a beautiful user interface to having advanced features such as a kill switch, PIA offers a very reliable VPN for Android devices. Best VPNs for USA Private Internet Access is based in the US giving it advantage over NordVPN when it comes to unblocking content in USA, but less advantage in terms of privacy since USA is part of the Five-Eyes. On the other hand, if you want to ensure that none of your online activities will fall under US jurisdiction, NordVPN is based in Panama and has plenty of servers in the US which work well with Netflix. Private Internet Access is based in the US giving it advantage over NordVPN when it comes to unblocking content in USA, but less advantage in terms of privacy since USA is part of the Five-Eyes. On the other hand, if you want to ensure that none of your online activities will fall under US jurisdiction, NordVPN is based in Panama and has plenty of servers in the US which work well with Netflix.